Earliest Known Alphabet Chart Deciphered | XKV8R: The Official Blog of Robert R. Cargill, Ph.D.
Limestone ostracon with Egyptian hieratic script dating to the 15th C. BCE, initially discovered in Luxor, Egypt. 3.54 in. high, 3.34 in. wide, 0.9 in. thick. Photo: Nigel Strudwick/Cambridge Theban Mission. This is a fascinating discovery! The latest issue of Archaeology magazine highlights the deciphering of the oldest known alphabet table. Egyptologist Ben Haring (University of Leiden) discovered a 15th C. BCE abecedary or abjad (a written alphabet table used by scribes to learn and practice letters similar to the alphabet charts above elementary school chalk boards) that predates the previous earliest known abecedaries by two centuries. 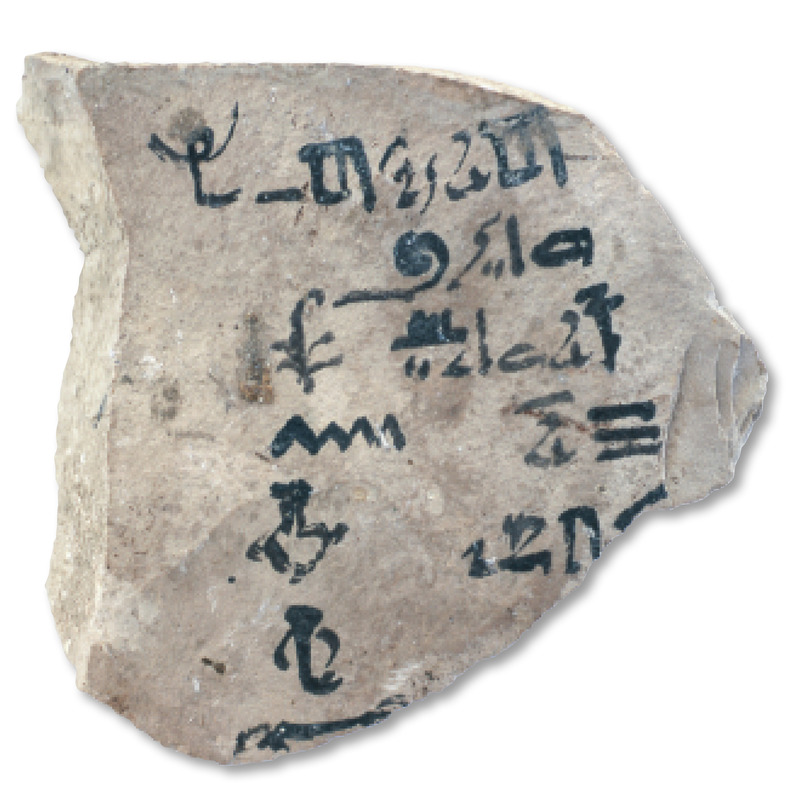 The undeciphered ostracon was initially found in a tomb at Luxor by Nigel Strudwick and his team from the Cambridge Theban Mission. The initial press release from Leiden can be read here. To read more about the origins of the alphabet, see pgs. 18-21 in my book, THE CITIES THAT BUILT THE BIBLE. Note especially note #5 for Chap. 1 on pgs. 269-70. I am also posting my chart from the top of page 20 here, so you can see the development of the alphabet.